Present were Ron Williams, Allen Palmer, Bill Flora, Glenn Lea, Bob Feretich, Joe Preston, Stan Paddock, Ron Crane, Robert Garner, and Ed Thelen. Today when we powered on the 1401 the tape access symptom reverted back to the ones we saw three weeks ago. The symptoms remained long enough for us to shoot the bug this time. 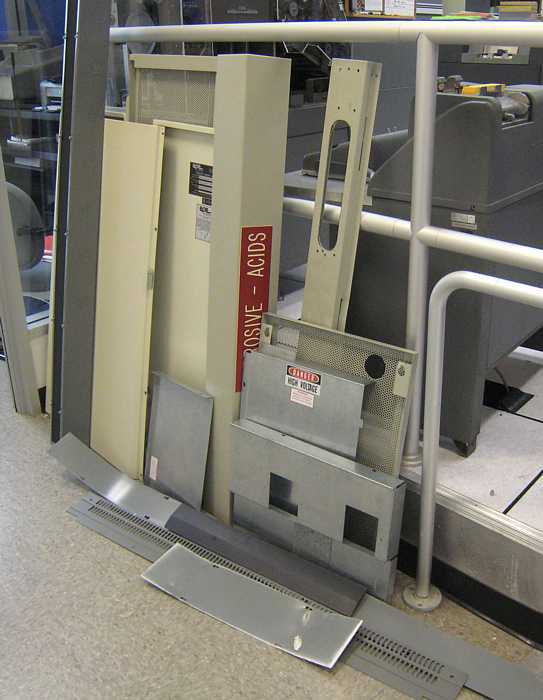 The tape drive was running away (forward direction) when a Backspace operation was I/Ex stepped. When running at full speed, the read data in a Write-Backspace-Read-repeat sequence was returning garbage data. 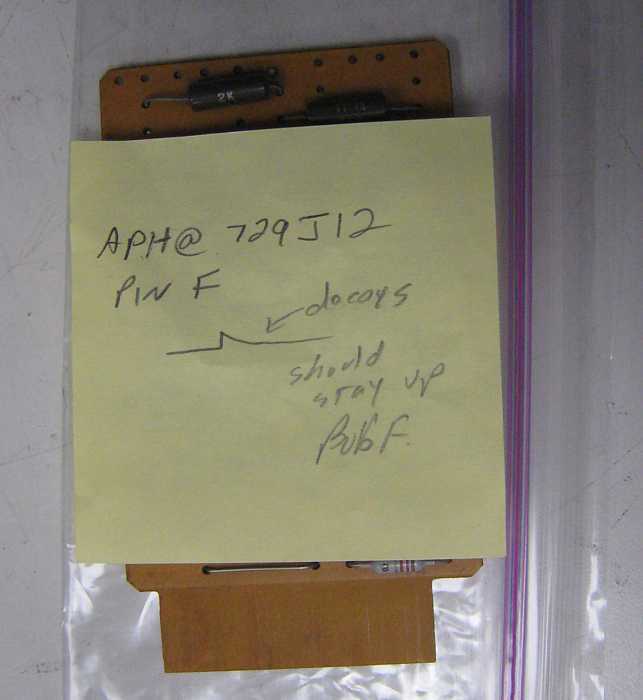 Again, we traced the problem to the TAU believing that the 729 was in write mode when it should have been in Read mode. We found that the 729 interface driver card for the +P_Select_Ready_&_Write signal was bad. 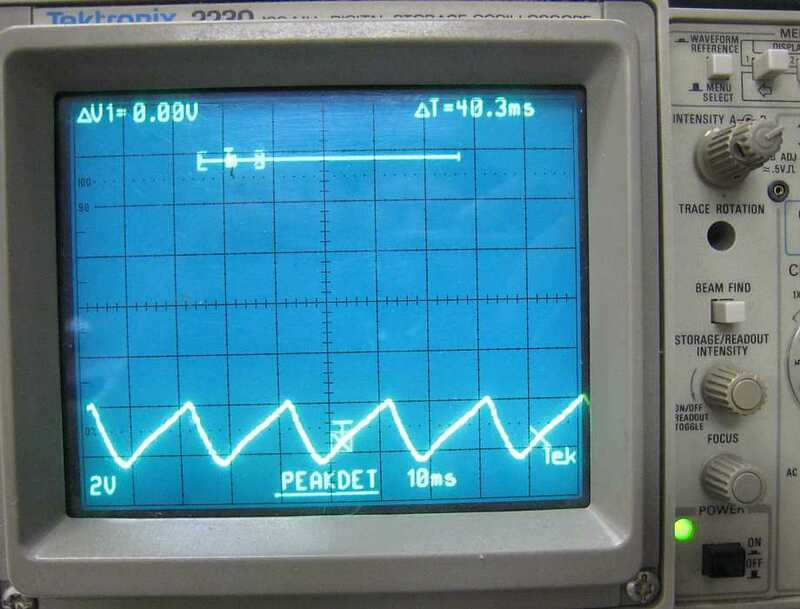 The signal would assert a minus level, but then that level would decay (RC constant) over a few milliseconds and become a plus level, when it should have remained minus. Replacing the card fixed the problem and the 1401/729 was able to run all of Ron's tests and the Tape Diagnostics successfully. Now, we need to tie the tape system into the ROPE cross development tools by having an option to create loadable tapes from the Autocoder Assembler. The format for this tape is defined in the IBM Autocoder (on Tape) Language Specifications and Operating Procedures manual (GC24-3319-0) page 51. 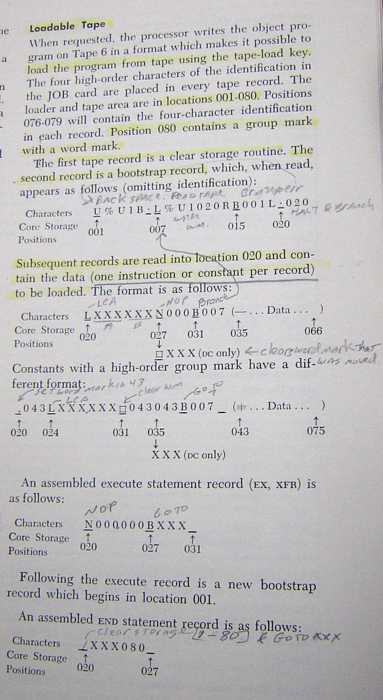 Note that Word Marks are written to the tape as "word separator" characters, so the loader does not have to create "set word mark instructions" for object loadable tapes. Note also that the "chaining preamble" must be made smart enough to know if the program are running from tape or cards and read detail cards or the next program in accordingly. 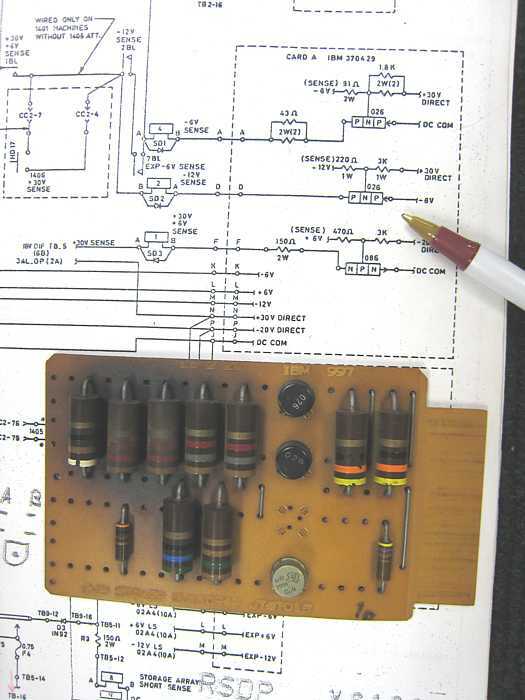 The cross assembler can output tape-loadable images. The -t option, followed by a filename, turns this on. We have no spare cards for the 729 Mod 5 tape drives - and I have not yet documented the card locations and inventory, as at 1401 & 1406 Unit Plugging Charts and 1401 Unit Plugging Sorted By SMS card type . It would be "nice" to get some spare 729 SMS cards so I can make an Inventory of SMS Modules for them. Item to right is one of two pages. 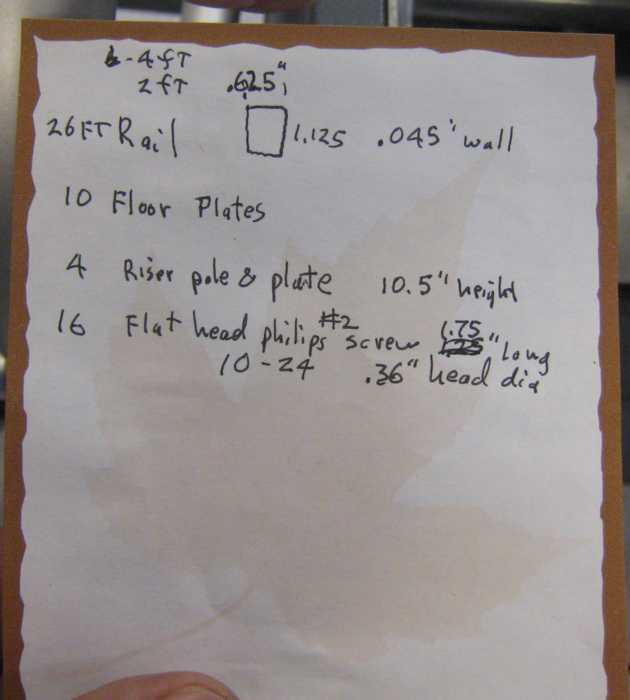 Actually, Ron Crane just came in to see what floor tiles/supports would be required when we get rid of the extra Liebert - resulting in: But stayed to look at the marginal APH card and discuss making an SMS board tester. (above) Now that the system is up, keeping it up is getting more priority. 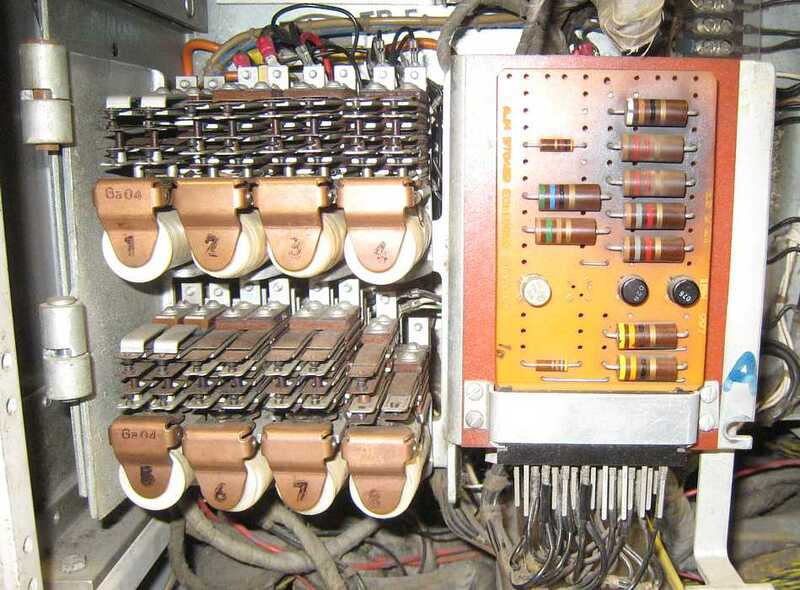 Ron is thinking of adding switching, electronics and PC linked controller to the existing SMS test sockets. Interfacing to external equipment from modern (highly protective) operating systems is an increasing pain - Ron may use extended DOS. Well, actually only one tape drive is up. 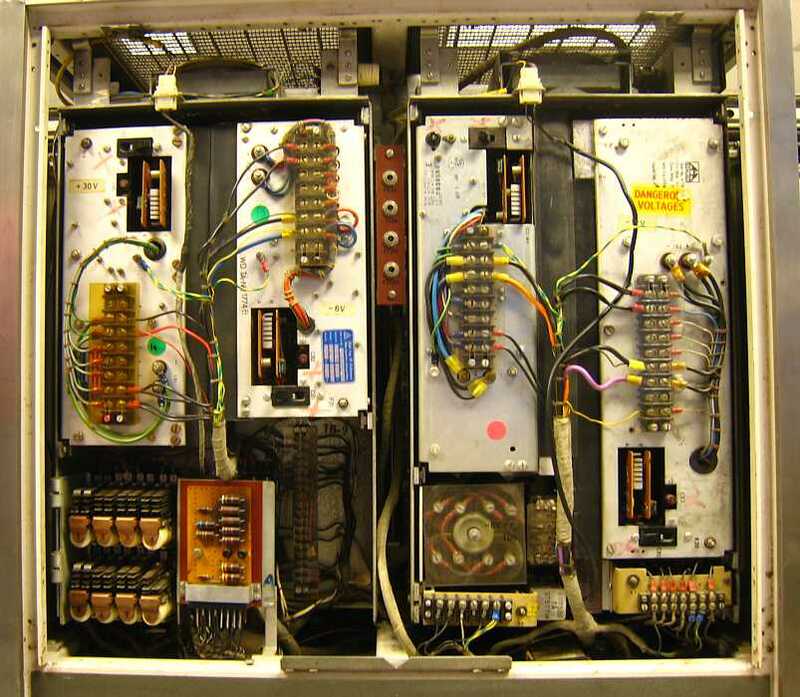 Allen Palmer and Stan Paddock were busy trying to get the second 729 Mod 5 working - Here they are with a defective contactor (power relay) and trying to find a replacement from the Internet and that BIG catalog. 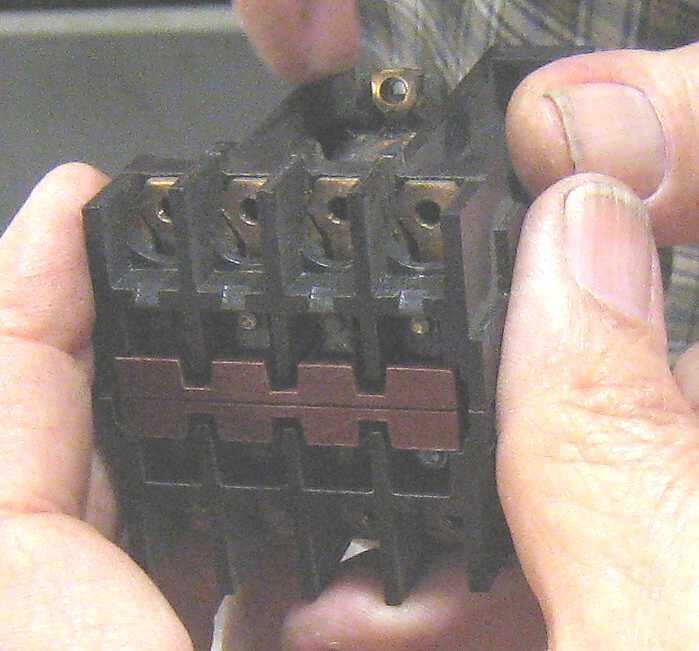 Trying to get a contactor with similar ratings and form/shape compatible is non-trivial. They also figure trying to fix it might have a 15% chance of success. Who made it? It looks vaguely Square-D or such. Anyway, what's the ratings? I'd be surprised if you can't find a correct rated one that size in a Square-D or ABB or such catalog. Oh yeah, that photo's deceiving - the cap's missing off it. I'd imagine you guys are good at hitting up your local distributor of whomever made it - they don't really change designs of these things much, and generally if anything, they get smaller. We replace antique ones a lot at my job (water/wastewater controls), 1/2 the time the replacement's the same as the old one - They just don't change much. I can't imagine IBM had them special made, then again, IBM might have sucked in enough a year to get that. Might be a 'definite purpose' type, too. Or just a 4 pole NEMA 0 size, in which case I think ABB's are that size. Ron Feretich discussed talking with Ron Mak about enhancing ROPE to have the Autocoder assembler output tape images that can be loaded with LOAD button on the 1401 console. He showed the tape format (in Autocoder on Tape Language GC24-3319-0) required for this (Different than the existing format used for cards and the card reader - the card reader cannot read word marks, so makes executable code to insert word marks.) This would also involve Van Snyder who wrote our (cross assembler) version of Autocoder. Sense Switch "C" on the console causes the output on "Loadable Tape 6". KISS 1- Instead of � card test for last card use SS A to end program. Halt after blurb cards are read. Allow presenter to talk about data entry etc. KISS 2- As each name card is read punch the data under SS D control. Punch if off, skip if on. end of cards is reached. Include KISS 1.
have a short demo. Still under SS B control. and write until end of cards. SS B still in effect. Note: 1640 is arbitrary, could possibly be any length. each print line regardless of whether SSC is on or off. Yes, it's 53x0 (I think 5300+5310) that write diagnostics to tape. book last time I was visiting CHM. Maybe it's still in the drawer. cooperating -- probably because of the recently-squashed bug. card reader). Check the book. to adjust this if you want to use the PC-to-026 lash-up to punch it. Present were Ron Williams, Frank King, Bill Flora, Bob Erickson, Dan McInnis, Bob Feretich, Joe Preston, Judith Haemmerle, Stan Paddock, Robert Garner, and Ed Thelen. Today, a tape subsystem intermittent error occurred shortly before noon. It appeared as if occasional Write operations transferred no data, but the TAU hung waiting for the data to be echoed. The First_Character latch is set at the beginning of the Write operation, but never reset. We broke for lunch and when we returned, the problem could not be reproduced. We had seen this problem two sessions ago, but it did not occur last week. Write records from the 1401 to a PC hard drive. Read records passing them from the PC to the 1401. The Emulator drivers (kernel and user mode) both performed well today. No hangs. No blue screens of death. The error recovery/restart code is doing its job. The TAU/Emulator team will meet Friday at the CHM to perform a GUI code integration. Currently, files in the PC are stored in BCD SIMH format. Bring-up the BCD SIMH to/from ASCII converters. Complete and debug the GUI controls for the emulator. Fix a buffer overflow issue in the firmware. Test the Autocoder assembler's loadable tape generation feature. Card to Tape(PC), Tape(PC) to Punch, and Tape(PC) to Printer - modified versions of the 5xxx diagnostic to use moves instead of loads and to boot from the PC. Stan Paddock arranged for the resident laptop to be able to print on the printer in the alcove. 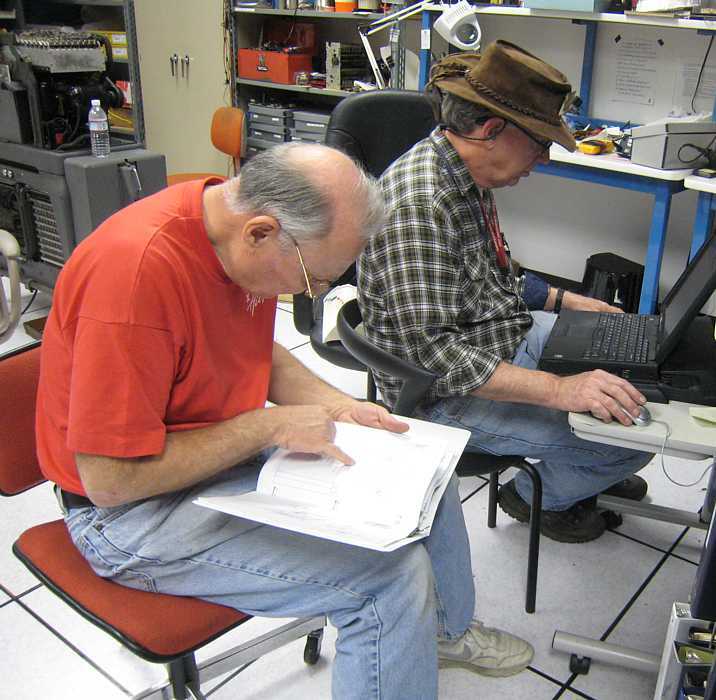 Robert Garner and Frank King looked at stills and movies of Robert's reconnaissance to Conneticut for the proposed new 1401 system. Frank's experience setting up for the Portland move ought to be very helpful. Both involve[d] moving very heavy artifacts through a basement door (accessing the yard) across a lawn to a truck. - Of course, saying that is sure to trigger Murphy's Laws of the 1970's, and cause the roof to fall in. - While the others are shooting pool on the hypothetical new pool table, I might get out my Pi programs for greater than 200 places - that ought to be a good CPU stability test ;-)) Pi to 5000 places on the 1401 might take all weekend !?! 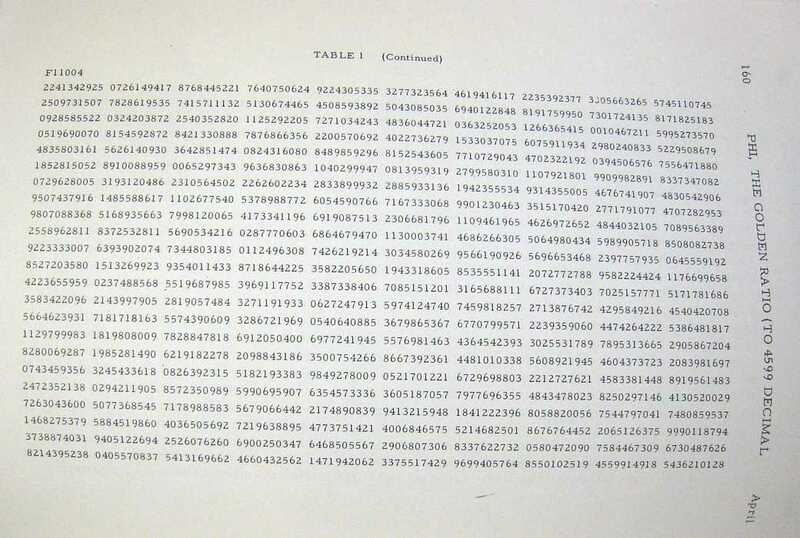 Robert Garner brought in a "Fibonacci Quarterly" which had an article about an IBM 1401 dividing two adjacent Fibonacci numbers, each 2300 digits in length, one by the other, giving the Greek "Golden Ratio" to some 4598 decimal places. This is the divisor. The article says the division took 21 minutes. Any one want to get hot on Fibonacci numbers?? 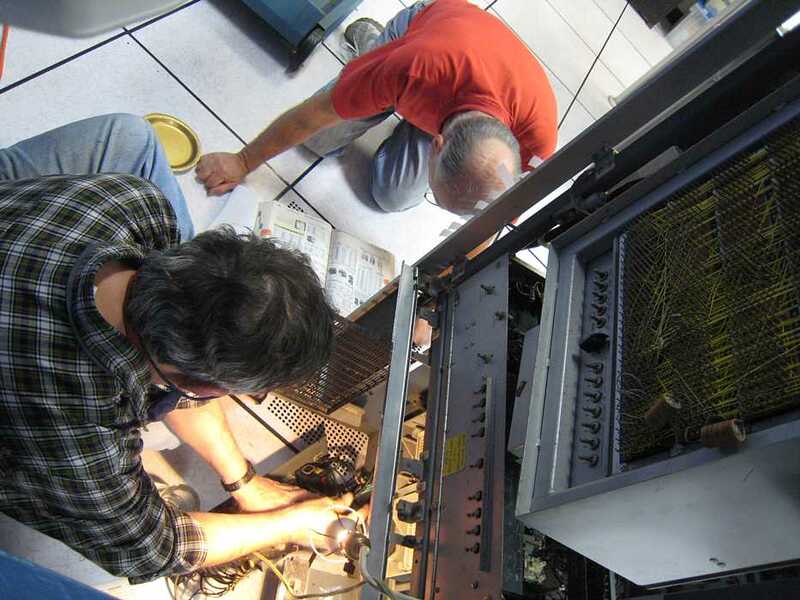 Grinding 729 tape drive capstans from Grant Saviers, 650 K Bytes, lovely pictures. Present were Ron Williams, Bob Erickson, Frank King, Glenn Lea, Dan McInnis, Bob Feretich, Joe Preston, Judith Haemmerle, Stan Paddock, Robert Garner, and Ed Thelen. Define virtual drive 1 and map it to a tape image of the program to be loaded and executed. This file is generated from the Autocoder cross-assembler (currently some manual editing is required) in "loadable tape" format and converted to SIMH format. Define virtual drive 4 and map it to the tape image of the data file to be printed. This is a pure ASCII text file that is also converted to SIMH format. Load and execute the program from drive 1 by pressing the "TAPE LOAD" button on the 1401 console. 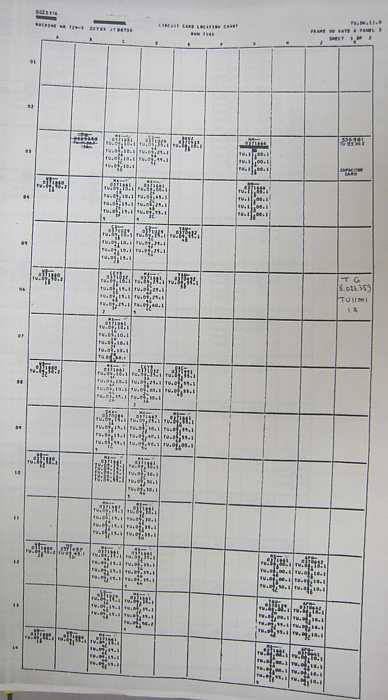 The program can read or write as desired to the data tape. We needed to replace the "Tape Load" switch today. It was noisy and would generate multiple tape load initiation pulses. Also today, Van has released a new version of the Autocoder cross-assembler that will interface with the Emulator. It needs to be integrated into Rope. This integration would permit us to perform more comprehensive stress testing. 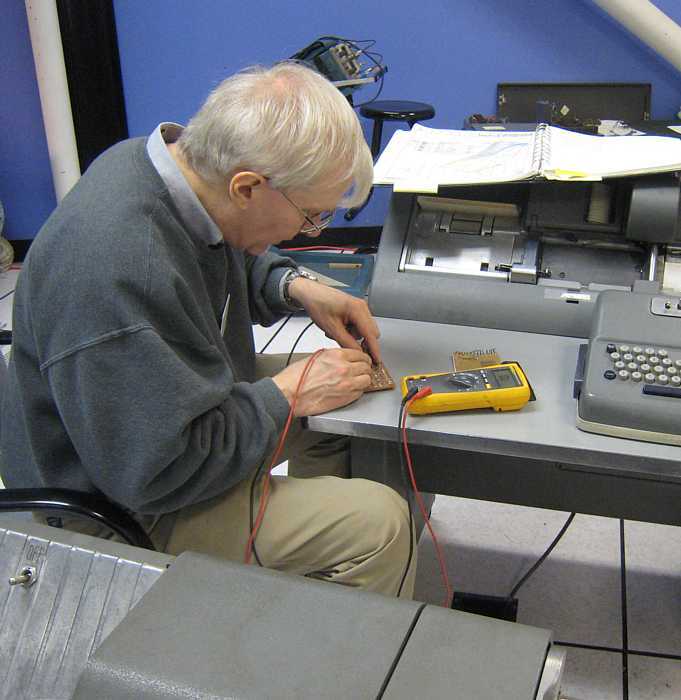 Ron Williams has been pestering Frank King about a defective diagnostic lamp in the 1403 printer - so Frank went after it. We found the lamps sent to us by J Falk and went to work. Ron Williams traced an intermittent squeak to a fan in the 1401. 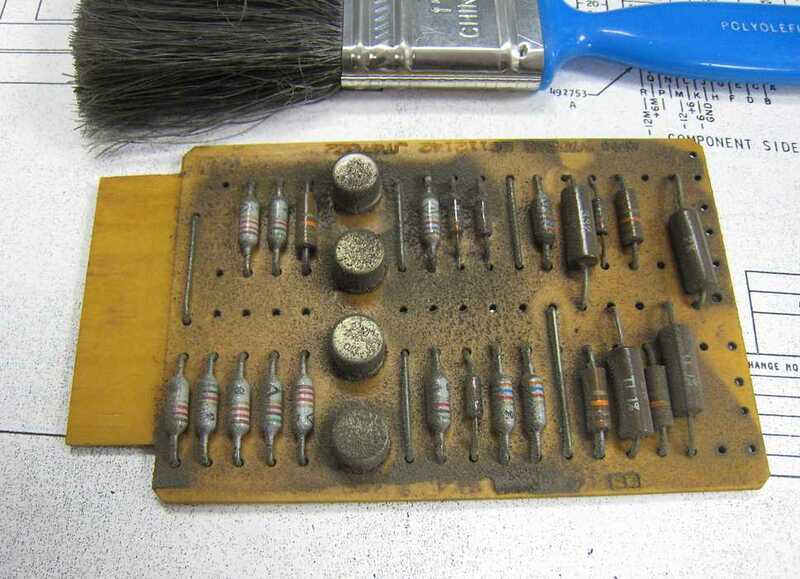 Unfortunately for Ed, Ron assigned the repair to Ed Thelen. 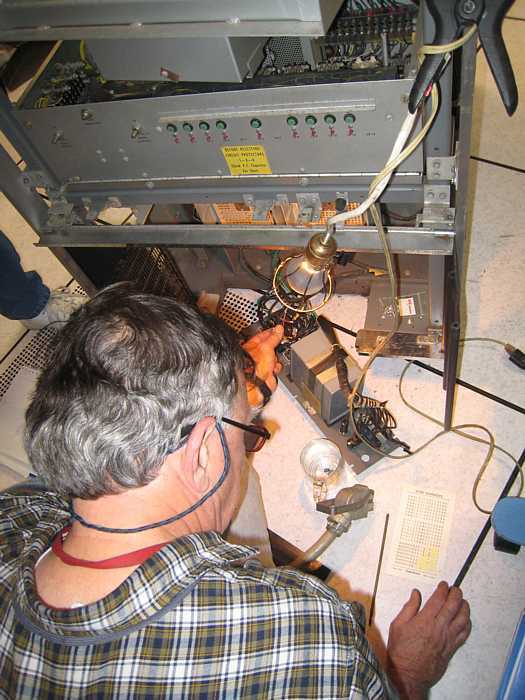 After hours, with power off, Tim Coslet and Ed removed the fan, leaving the wires connected. Placing oil on the C-Clip did not do the trick. Stan Paddock came back, and joined the effort. We had to get the C-Clip off to get the motor apart to correctly oil the bearing shaft. Getting that little C-Clip, recessed in the motor, off was a challenge. Ed (the German) and Stan (the Welchman) argued who was more stubborn. Dan McInnis (the Irishman) came by and claimed to be the most stubborn. Stan evidently won as he finally got the c-clip off. Stan greased the bearing shaft claiming the job should last another 50 years. 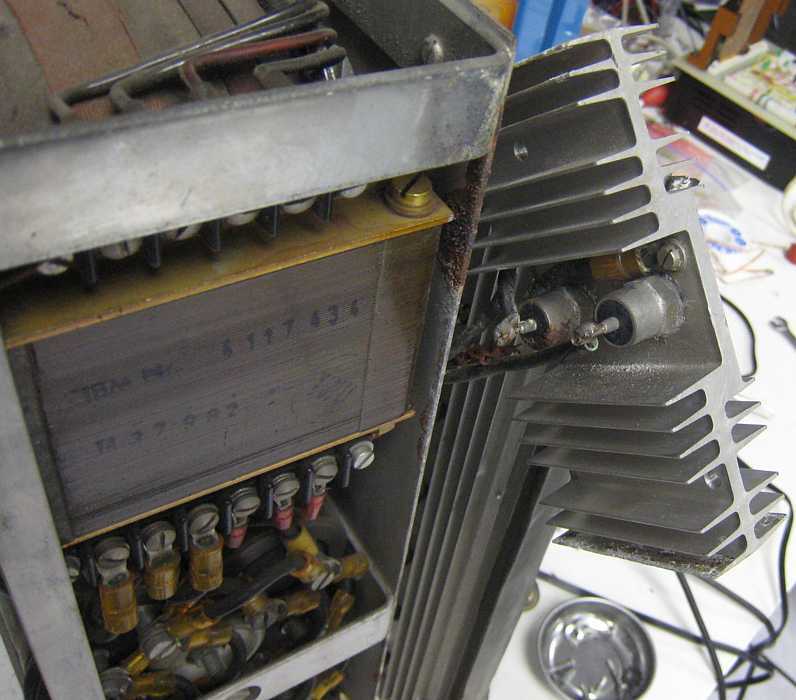 Possibly Stan should have used lighter oil as the fan run-down time is still quite short. I worked with Ron Williams today on the 1401. It will not stay powered up for more than 10-30 seconds. Ron Williams made a liar out of me again. After I left, he found a bad card in the power supply monitoring. Ron 'found' another card and the machine is back up. We have been looking for this problem for several months now. 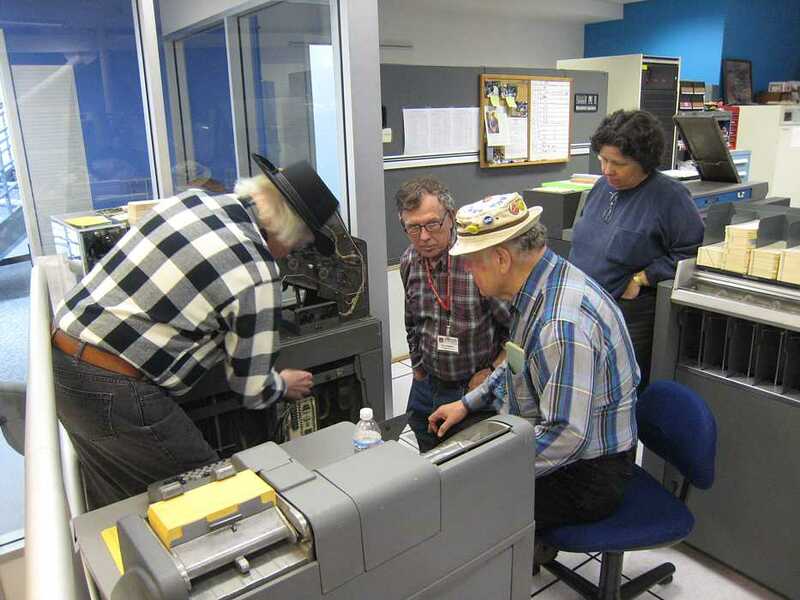 To keep you up todate, the demo group, Bill, Stan, David, Jim and myself met this morning to do a run through of my latest BigPrint/Tape program and discuss integrating it into Davids script. Things didn't go so well. We were unable to get the program to complete its assigned tasks. The reader had problems with the original deck, we punched out a new one and this ran ok, the printer gave print checks which we did not understand. Never got around to testing the tape portion. The punch also was getting validity errors. Stan is going to run it on Wednesday while the experts are on hand. I am attaching a rough draft user's guide. The program run fine on SIMH and I have tested all the various combinations. Present were Ron Williams, Frank King, Bill Flora, Glenn Lea, Bob Feretich, Joe Preston, Stan Paddock, Robert Garner, and Ed Thelen. E-mails of problems last Saturday and Monday (above) had circulated, and all the section leaders of the reported problems were present. 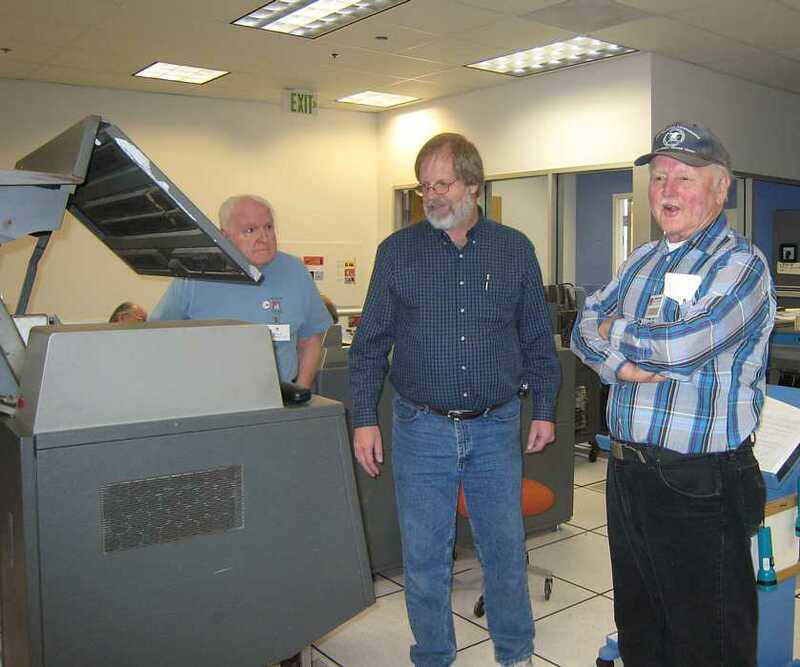 Jim Somers came by to assure that we were working toward getting the hardware back up to demonstration requirements. So many things all at once. 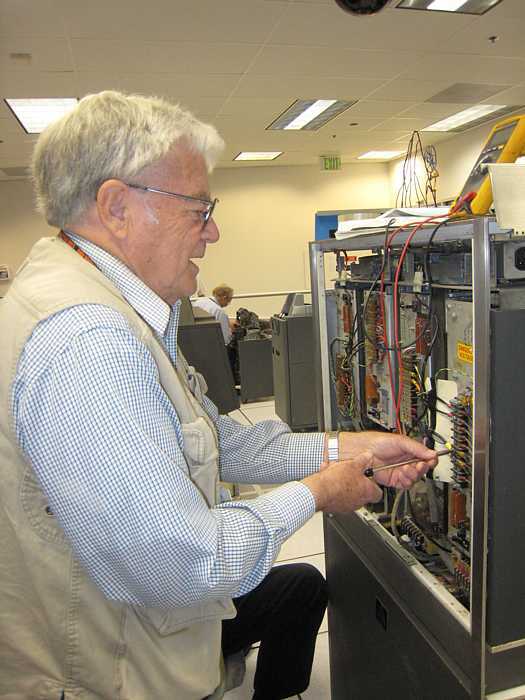 Ron Williams found a warmed card, driving power sequencing relay #2, which if replaced, helped keep the power up. 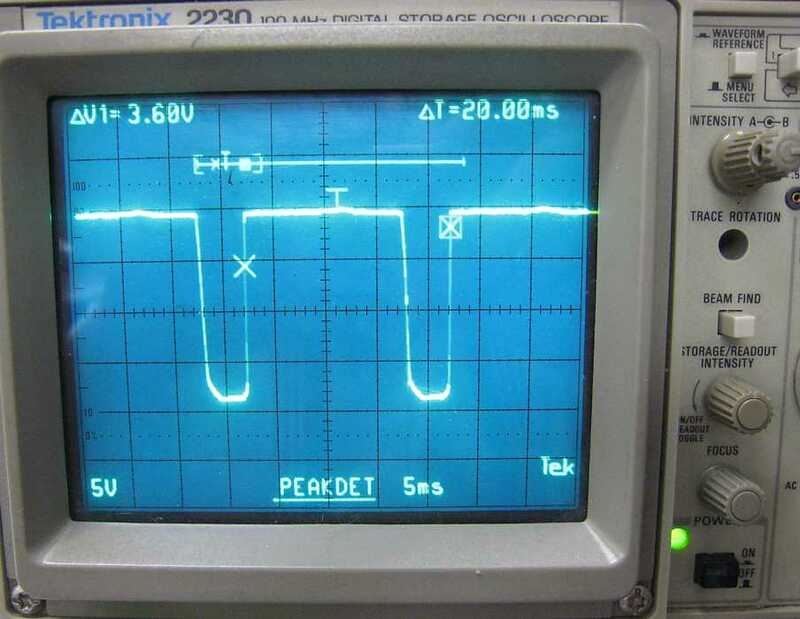 Unfortunately, the drive voltage to relay #2 still was pulsing, not the steady level it should be - Tracing back the inputs, -12 volts looked like this. 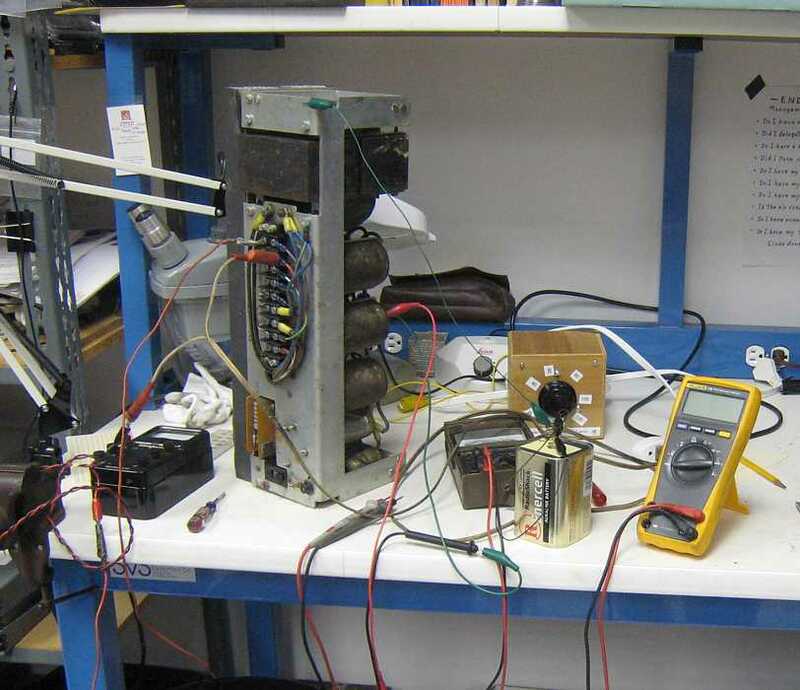 The scope indicates the -12 volt power supply is outputting -11 volts with a saw tooth output of +- 1 volt at the power frequency, 50 HZ, 20 ms for a complete wave :-(( This is sick !! So they held the window closed with a big wood working clamp - and struggled on with other problems. Today, we took all of the covers off, disconnected the interconnecting cables, removed the roller stoppers and removed the interconnecting cable tray on top. The left most cabinet has all of the batteries. There are two roll-out drawers. We might be able to roll them all the way to your truck! The second cabinet also has rollers. The inverters in this cabinet unplug so if we need to reduce the weight, we can pull them out. The third cabinet is empty. If you bring a couple of strong people, you could be in and out in an hour. 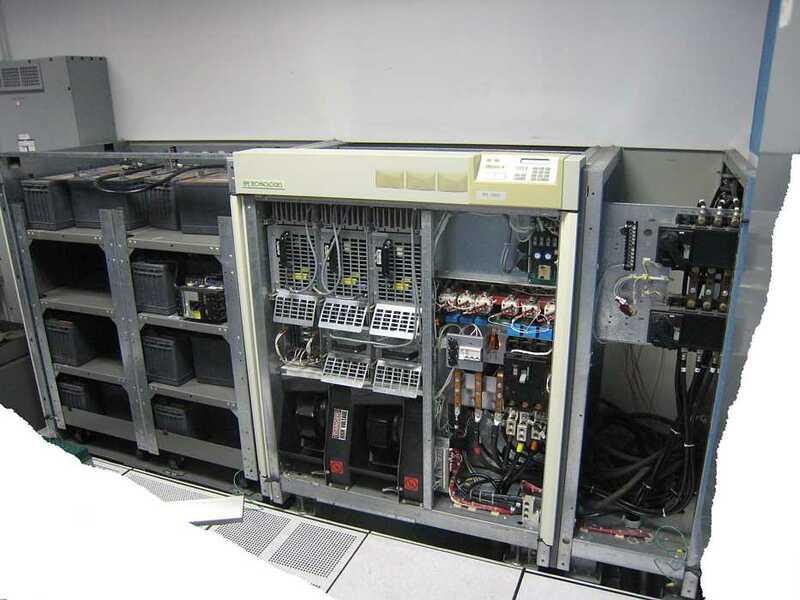 Views of the Uninterruptable Power Supply (UPS) in process of dis-assembly for removal. Robert Garner wishes to remind CHM folks that the big Liebert air conditioner near the door needs to be removed by the end of April, when the "new" ;-)) 1401 is expected to arrive at CHM.